HomeLifestyleCan retail therapy help people unleash their emotions? Can retail therapy help people unleash their emotions? Shopping! Who doesn't love it? Are we right or are we right! It's no secret that most people love to shop and some even find it therapeutic. 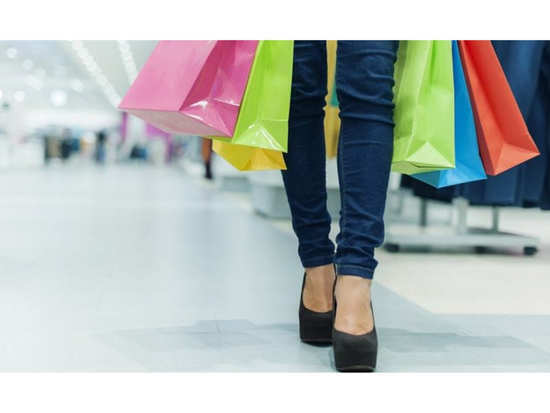 But while the topic of shopping as a means of therapy has been debated for quite some time, researchers have now noticed that more and more people are actively participating in shopping as a means to deal with their emotions. Now, when we talk about shopping, it isn't just limited to buying things for yourself to make yourself feel better. Researchers have now discovered that people have started opting for leisure activities and vacations to help escape their real-life problems. These escapes turn into a way for them to better manage their emotions. The researchers conducted a study which focused on a new trend - how the marketplace is helping consumers face their problems. “Whereas previous studies tell us that consuming something for therapeutic reasons is associated with escaping emotional suffering, our research shows that consumers are actively choosing to visit certain places in order to confront their feelings, grief or worries. These environments are seen as safe spaces," said Kathy Hamilton, lead author of the study. The researchers conducted the study for three years and refer to these safe spaces as 'Therapeutic Servicescapes'. These safe space accept feelings of vulnerability and wanting to express emotions which is why people feel a lot better and leave with a better sense of well being. "In everyday life, society tells us to keep going, with consumers constantly under pressure to be the perfect partner, parent, and employee. We are witnessing unprecedented levels of mental health issues and our research uncovers consumers dealing with emotional suffering beyond traditional and private therapy sessions. Our research is helpful because it can show how businesses can cultivate emotions to promote well-being, especially when society tells us these emotions should not be displayed or shared in public," said Leighanne Higgins, lead researcher of the project. Now, these researchers hope to turn their research into methods for festivals and conventions to come up with projects that can help people improve their mental well-being. Stay tuned for more updates. Want to stay hydrated this summer? Give popsicles a try! Puffy eyes and dark circles? Here's an eye cream you must use! 1Can retail therapy help people unleash their emotions? 3Want to stay hydrated this summer? Give popsicles a try! 5Puffy eyes and dark circles? Here's an eye cream you must use!